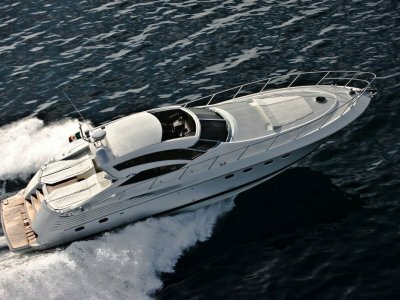 For those who know Riviera and Maritimo, we can fairly say that TIARA YACHTS are of same or higher luxury yacht standard! Featuring an open and flowing tri-level interior the Tiara Yachts flagship - 5800 Sovran - elevates the at-sea experience to new heights. Stepping in through full height double glass and stainless steel doors, with bigger than usual allround windows, the upper level seems bigger than it is including the main salon with comfortbale lounge, two arm chairs & entertainment centre, fully equipped helm station and with opening sunroof; the mid-level a galley which is generous, well equipped & lit and convenient; and the lower level features a lounge/dinette/berth, with a full beam midship master and forward VIP double cabins both with ensuite bathrooms. The Sovrans generate great performance - in speed, efficiency and handling - complimenting their hull with the technological advances of Volvo's IPS power system coupled to a joystick control, for pinpoint docking and maneuverability in any condition. Countless thoughtful details in the Tiara Sovran 5800 design deliver unexpected luxuries to enhance the allure of a day, or even a week at sea. 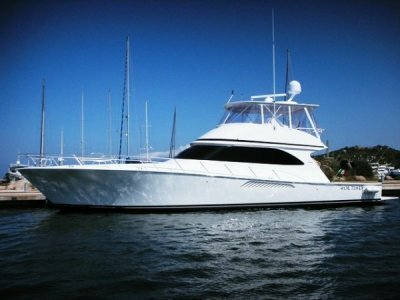 This 5800 is a one owner yacht built for Europe (so is 220v suited to Australia! ), delivered to Italy, and as she is well cared for and used only for the summer months, is in immaculate condition. 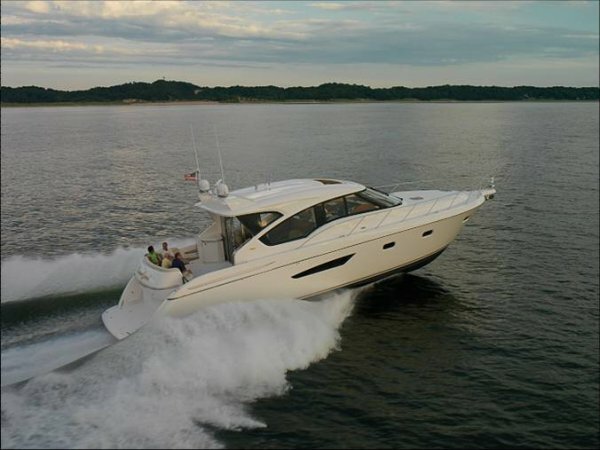 At home cruising anywhere in the world, this luxurious sport yacht is certainly worthy of serious consideration. 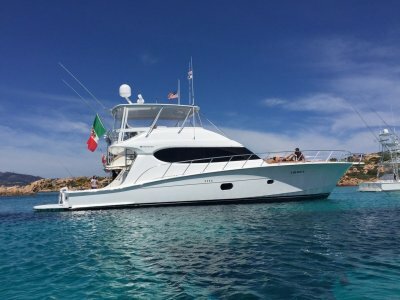 Please feel free contact us for a full color brochure & specifciation list or any questions regarding purchasing this yacht in Europe, using it here and or shipping it home. Price dropped from Eu 695,000 to Eu 595,000!!! 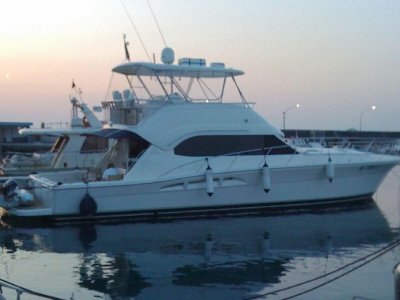 Owner is now very motivated to sell in order to buy his next yacht.